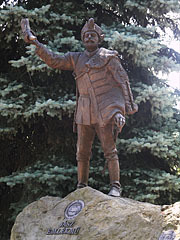 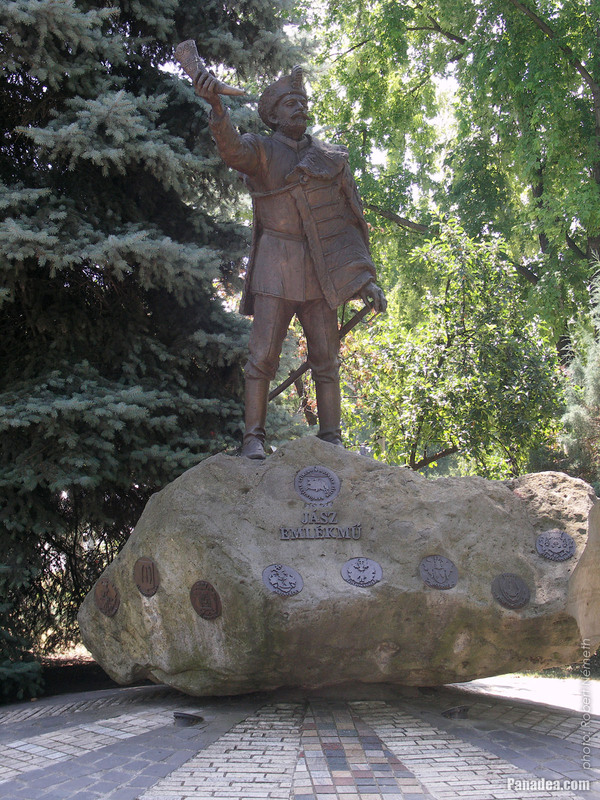 Chieftain Lehel, the medieval historical figure was died in 955. 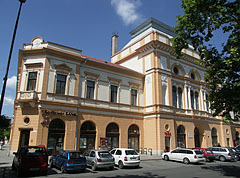 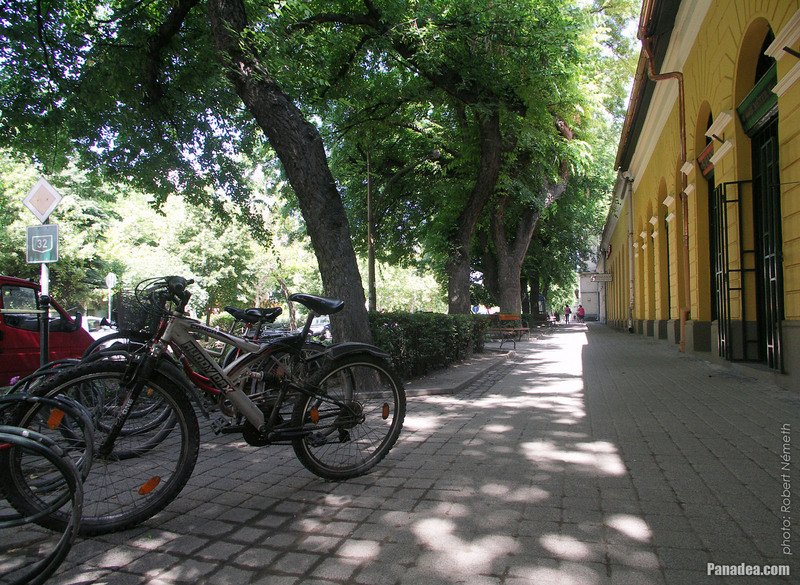 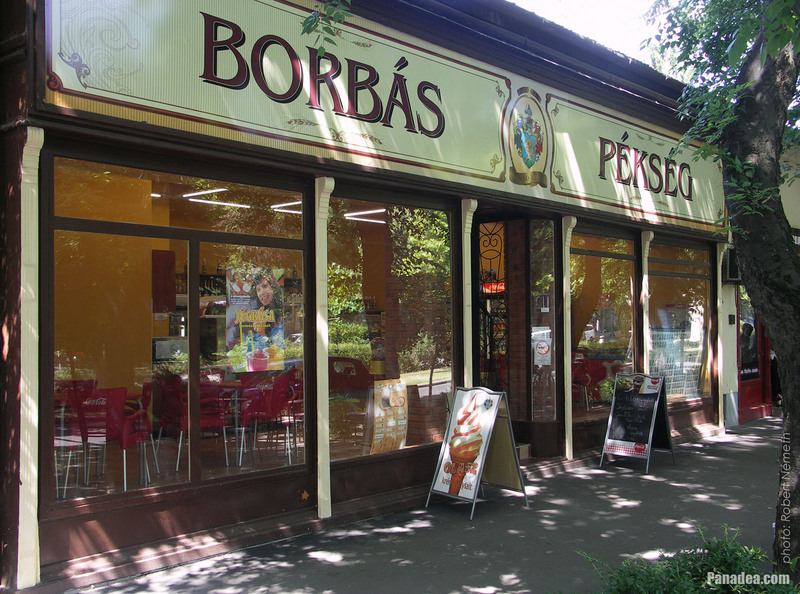 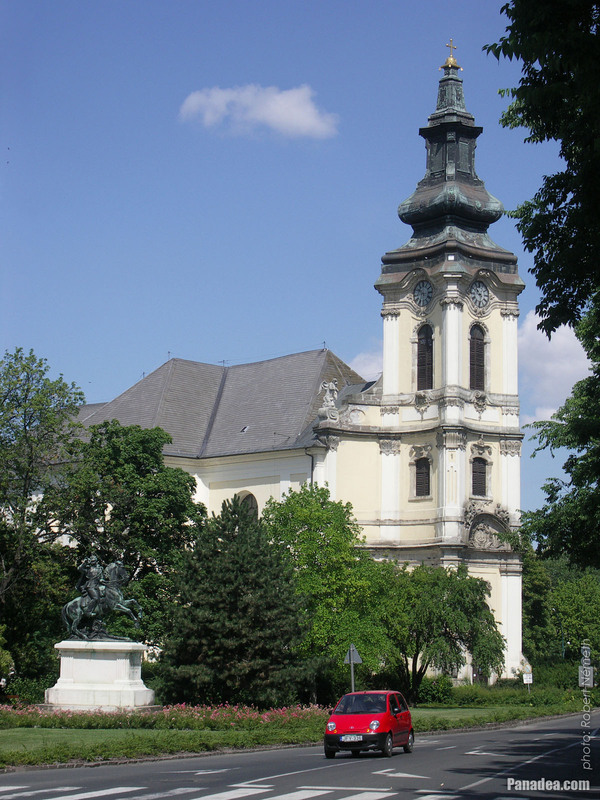 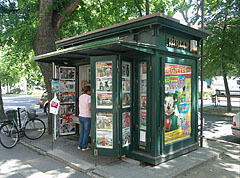 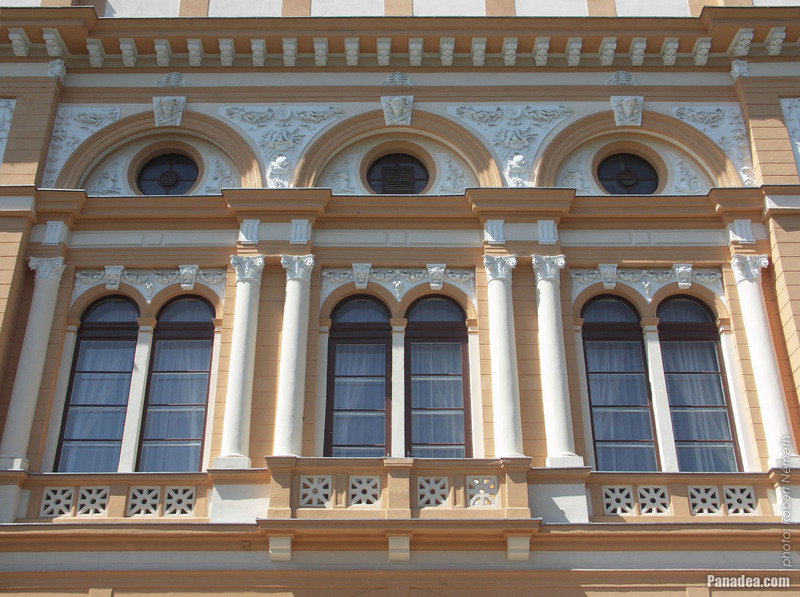 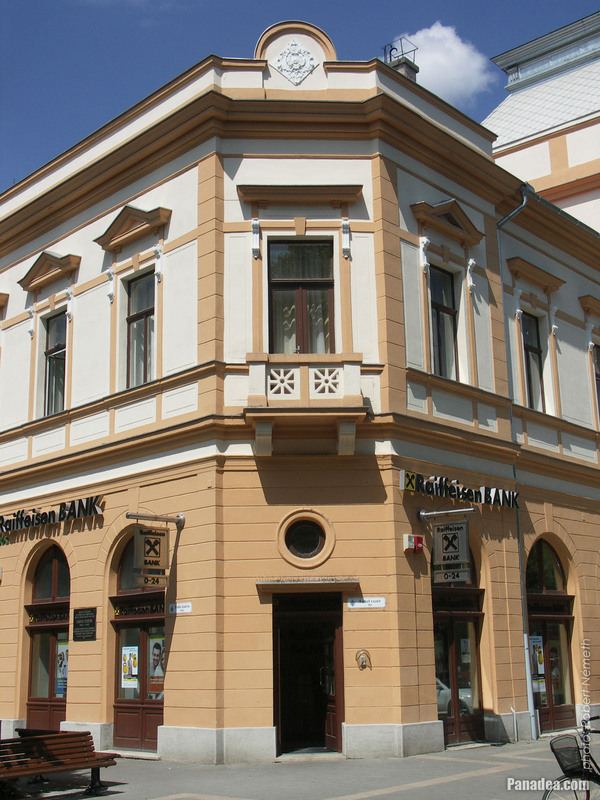 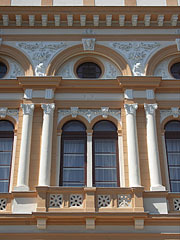 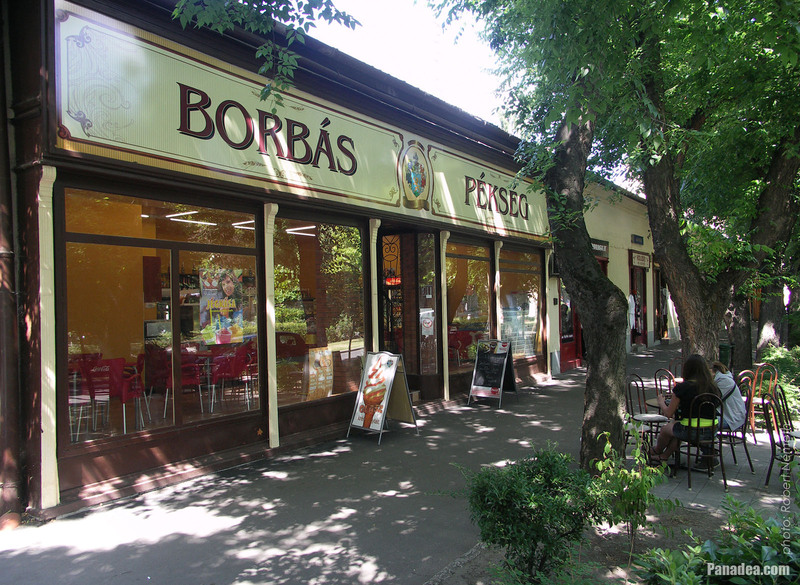 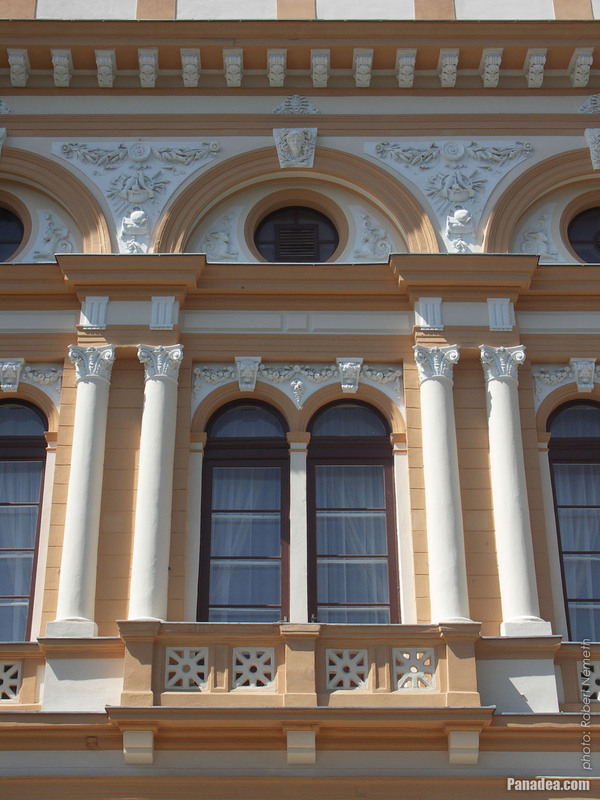 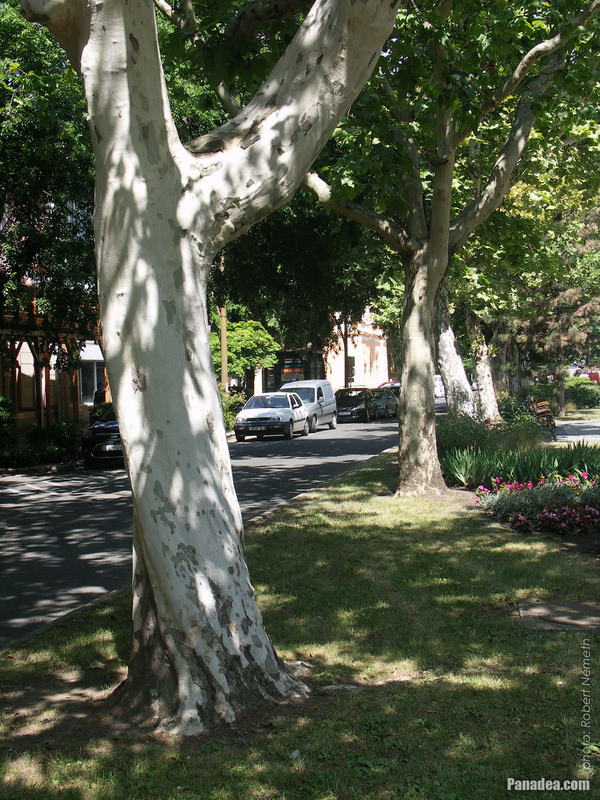 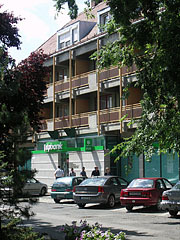 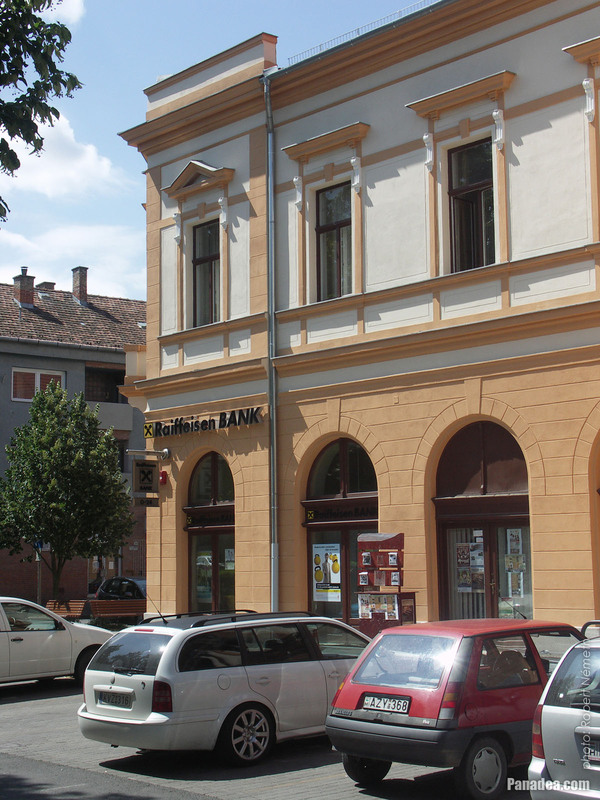 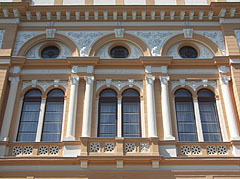 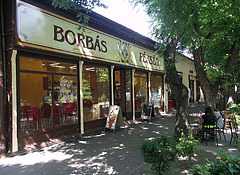 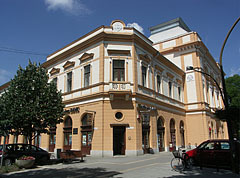 Designed by Lőrinc Bedekovich based on the plans of Mihály Pollack, built in 1839, extended in 1913 and 1931-ben. 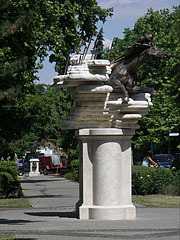 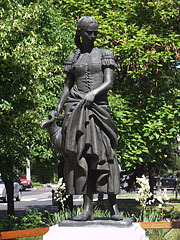 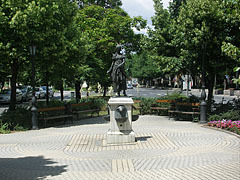 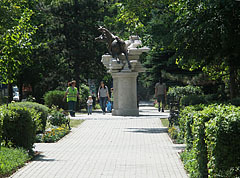 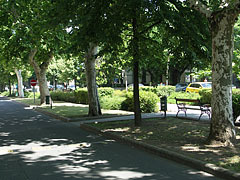 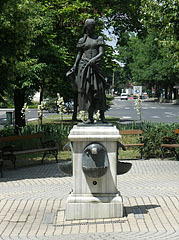 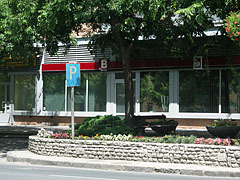 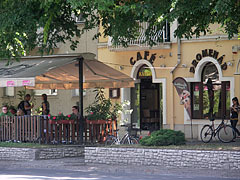 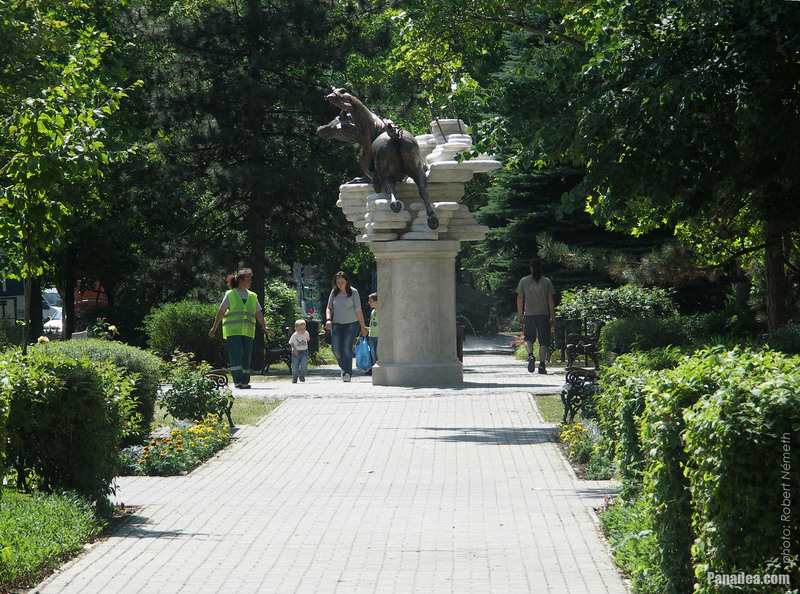 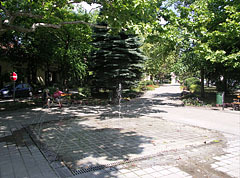 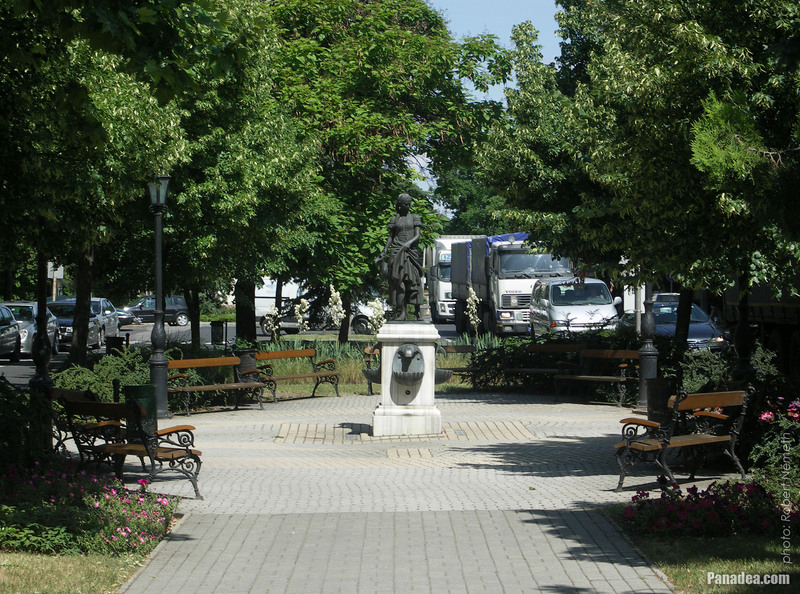 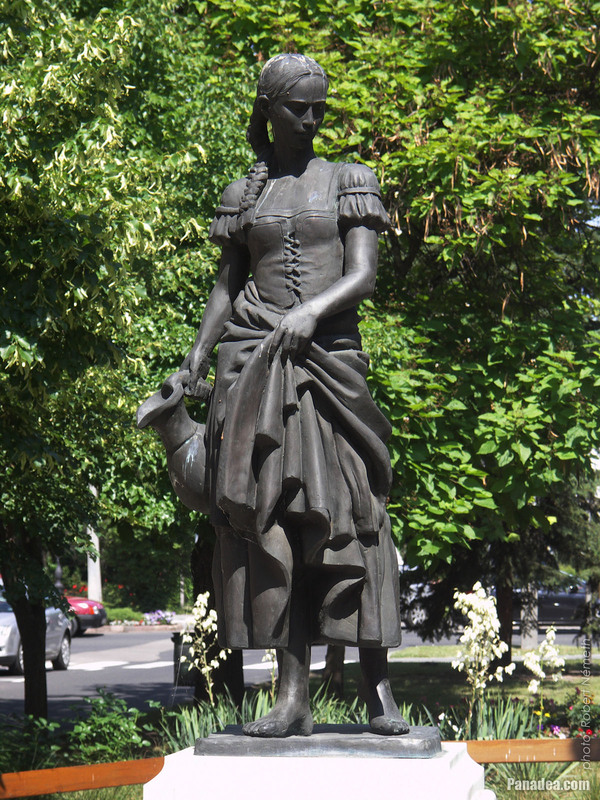 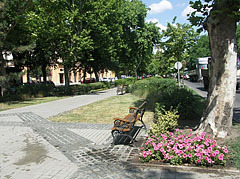 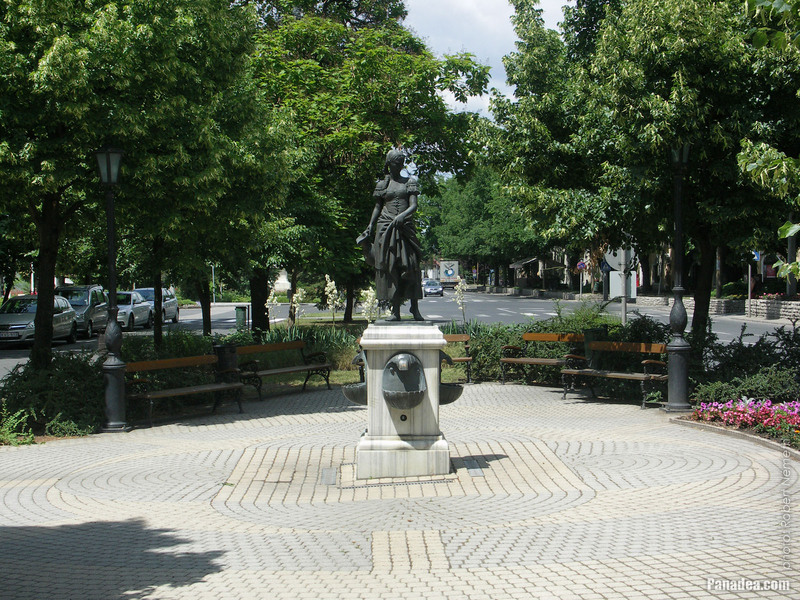 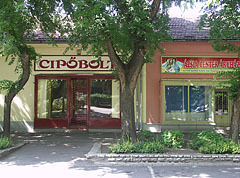 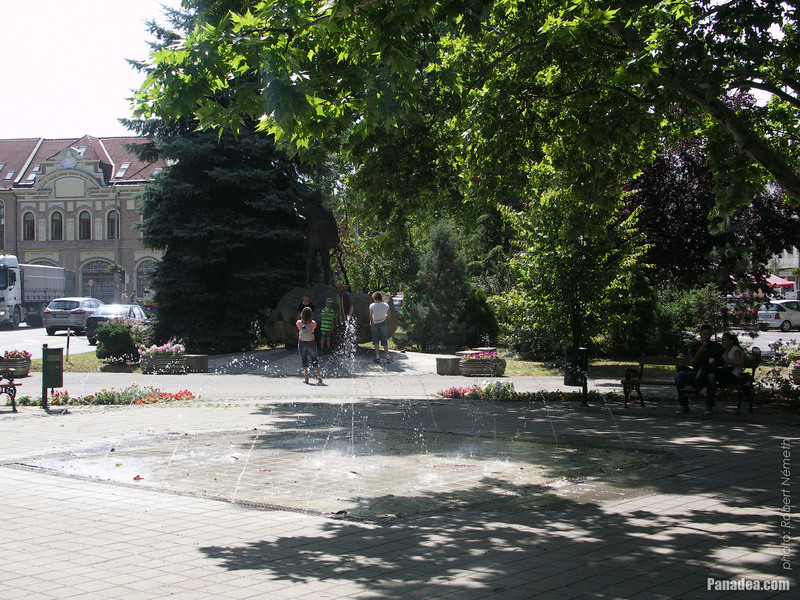 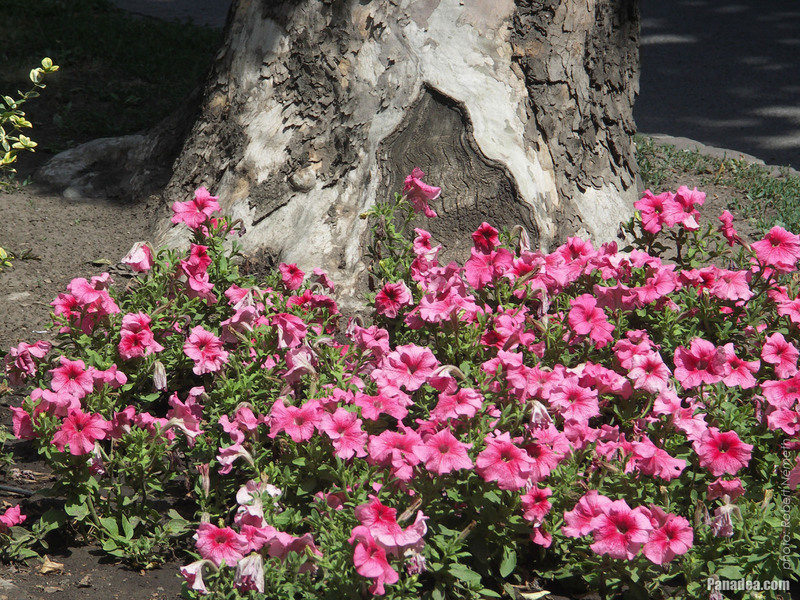 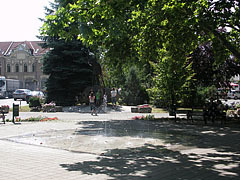 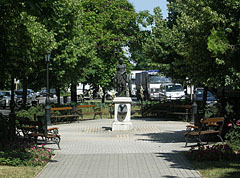 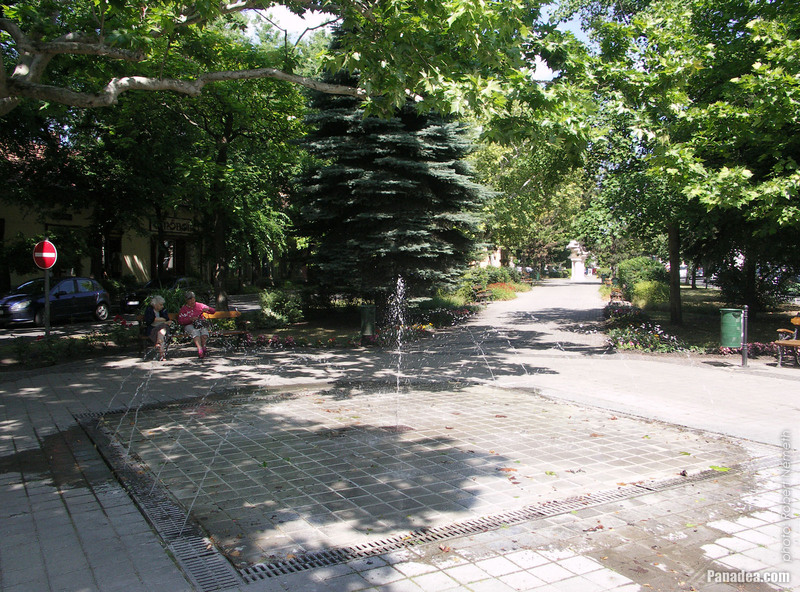 The "Girl with a Pitcher" statue in the park in front of the Déryné Community Center (former Hotel Lehel) was made by Zoltán Zilahy. 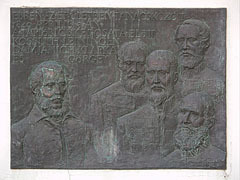 It was inaugurated in 1995, for the 250th anniversary of the so-called "redemption" (in Latin "redemptio"). 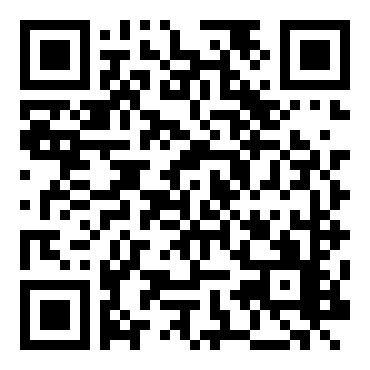 The "redemptio" was a very important historic event for the Jasz and Kun (Cuman) people. 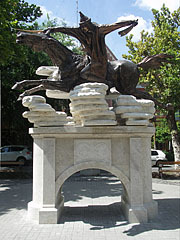 The local inhabitants have suffered so much from the long Turkish occupations in the Middle Ages. 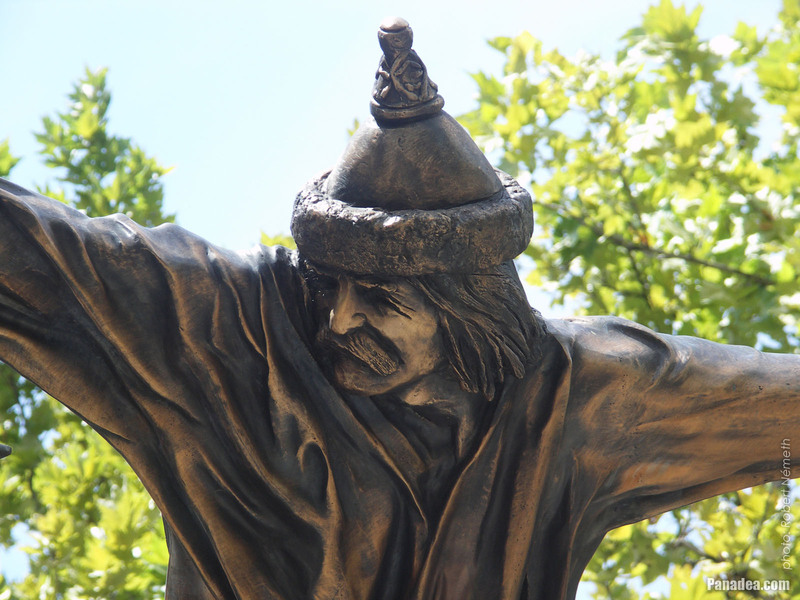 Lot of people died or fled, complete villages were depopulated. But the ordeal still did not end with this. In 1702 Leopold I Holy Roman Emperor and Austrian (Habsburg) prince simply sold the Jászság, the Kiskunság and the Nagykunság regions, both the land and the people to the Teutonic Knights' Order for 500,000 Gold Forints. 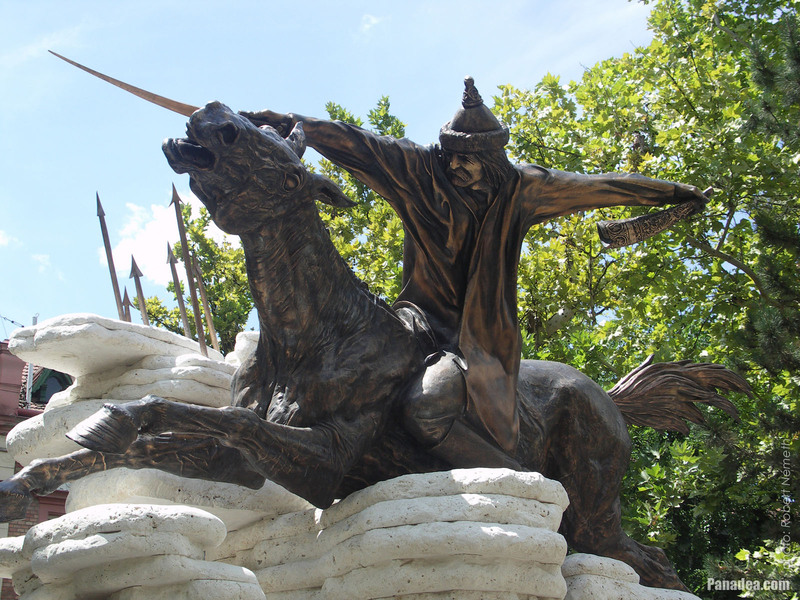 Thus the until then free civilians lost their privileges and they became serfs. The only chance to get back their rights was to raise the huge sum of money from their own resources and redeem themselves with it. 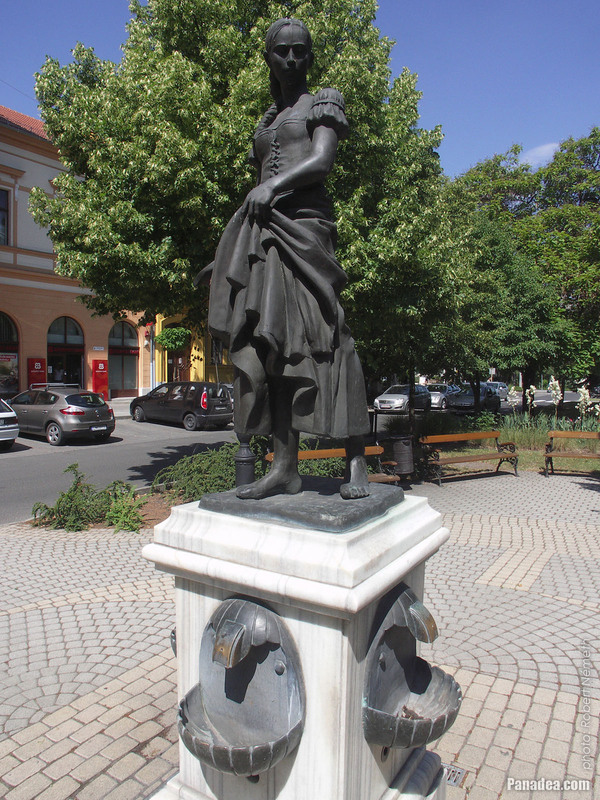 The Jasz and Kun people didn't resign to their fate, and finally in 1745 they paid the amount to Empress Maria Theresa, who graciously accepted it and restored their rights. 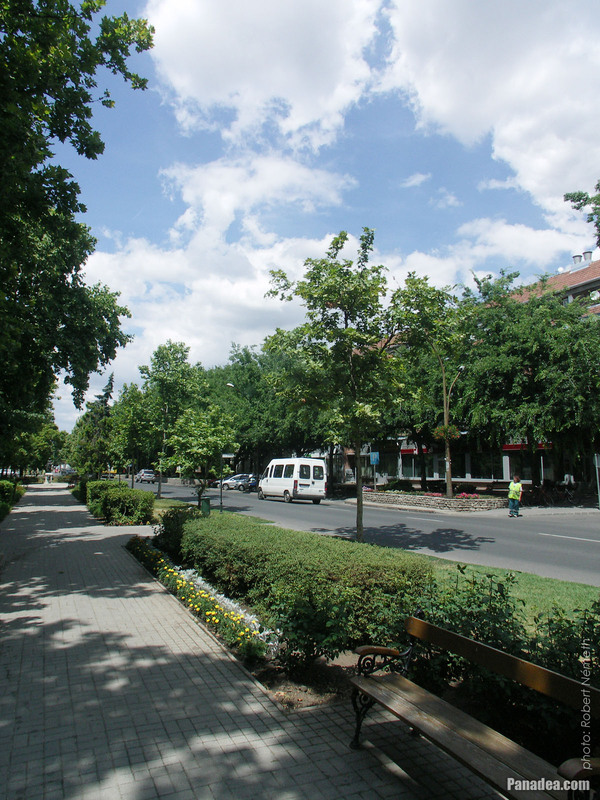 This happened on 6th of May, since then this is the day of the Jasz and Kun people. 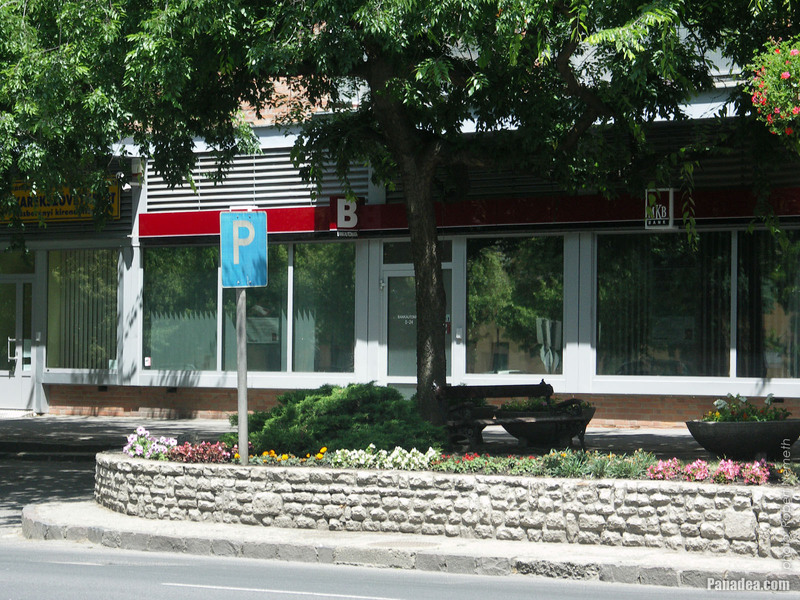 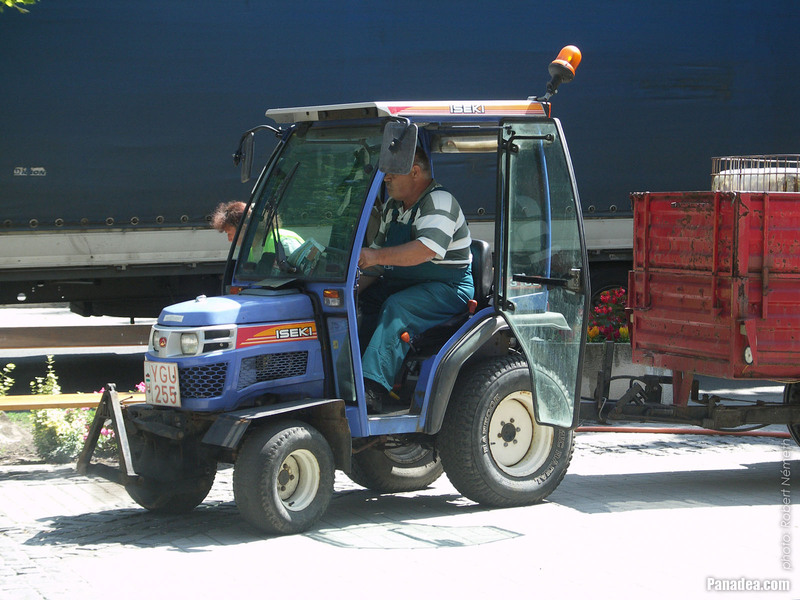 The gradual economic recovery of the region could start only after this "self-redemption". 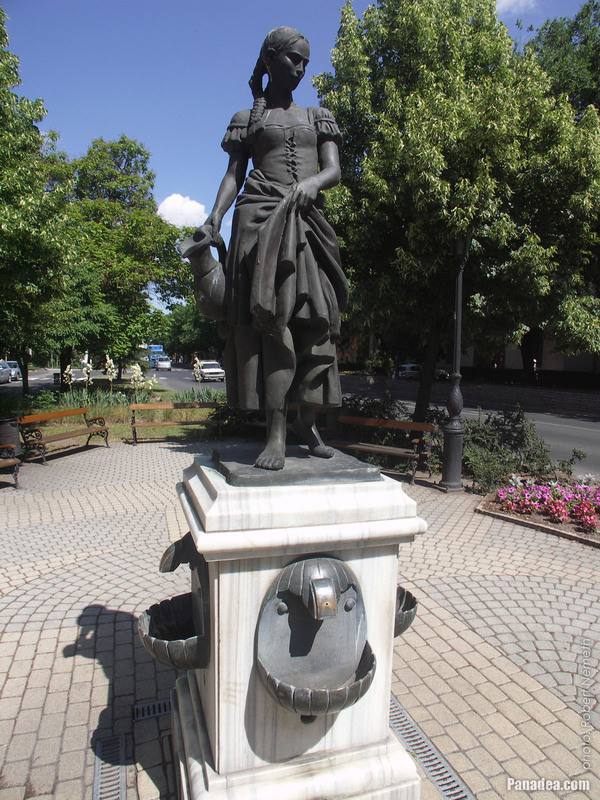 This "business" of Leopold I, the Teutonic Order and Maria Theresa still, even today raises the question of legality, so the issue of the claim for compensation was unearthed more times. 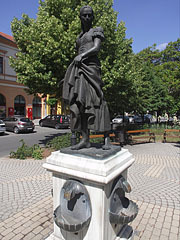 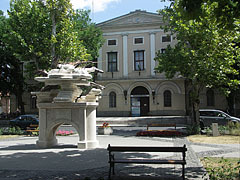 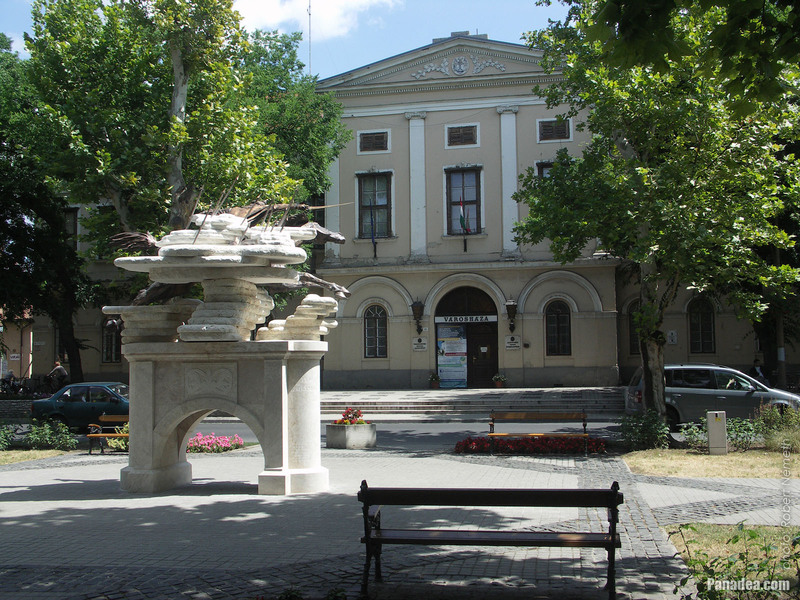 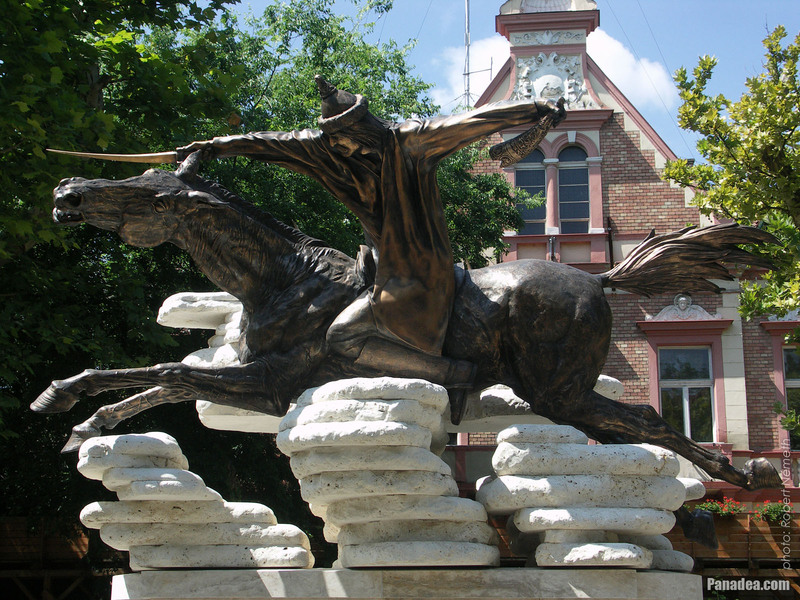 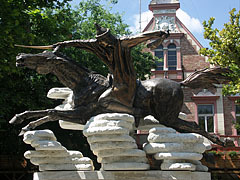 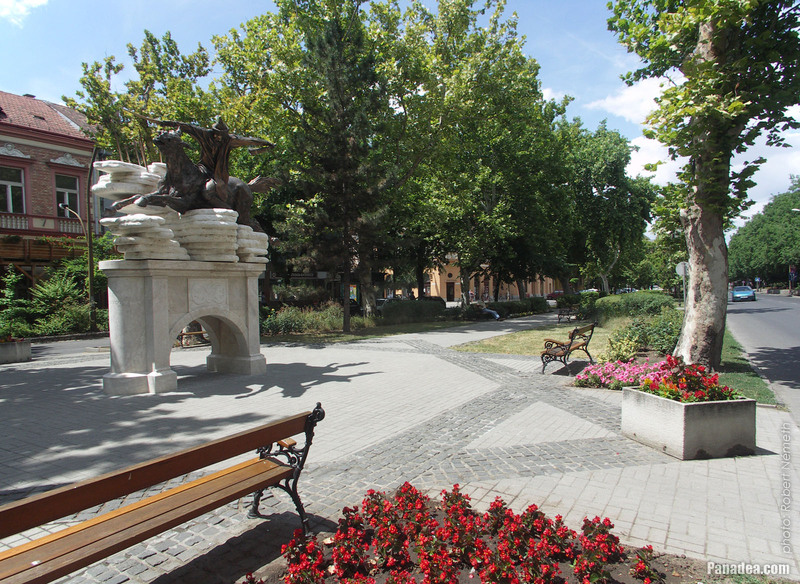 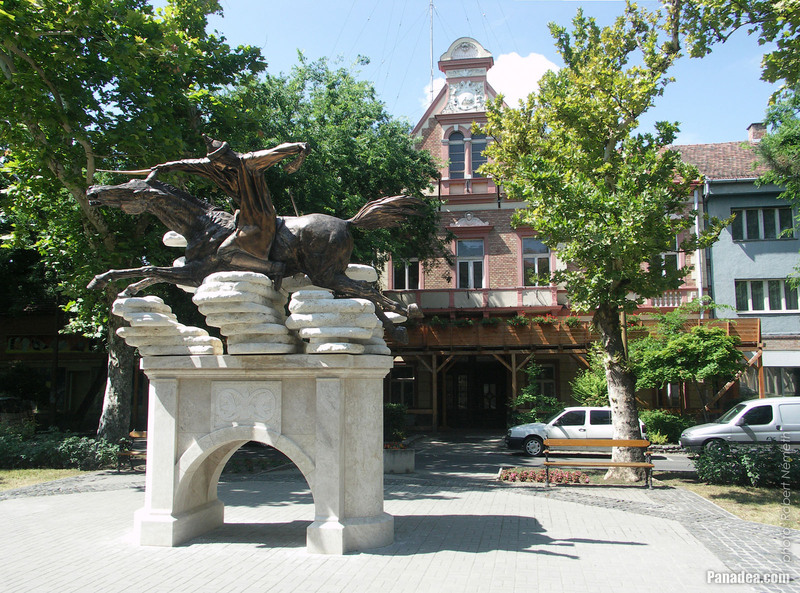 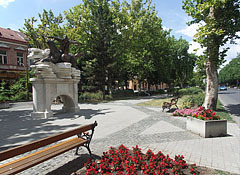 The bronze and limestone statue on the promenade in front of the City Hall of Jászberény was created by the Hungarian sculptors Miklós Melocco and Péter Párkányi Raab, it was unveiled in 2014. 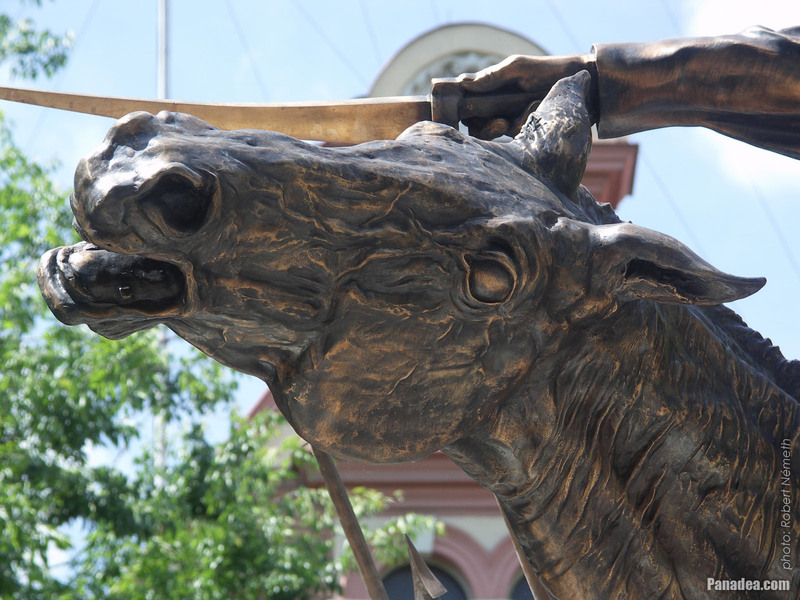 There is an oddity that makes the inauguration slightly piquant. 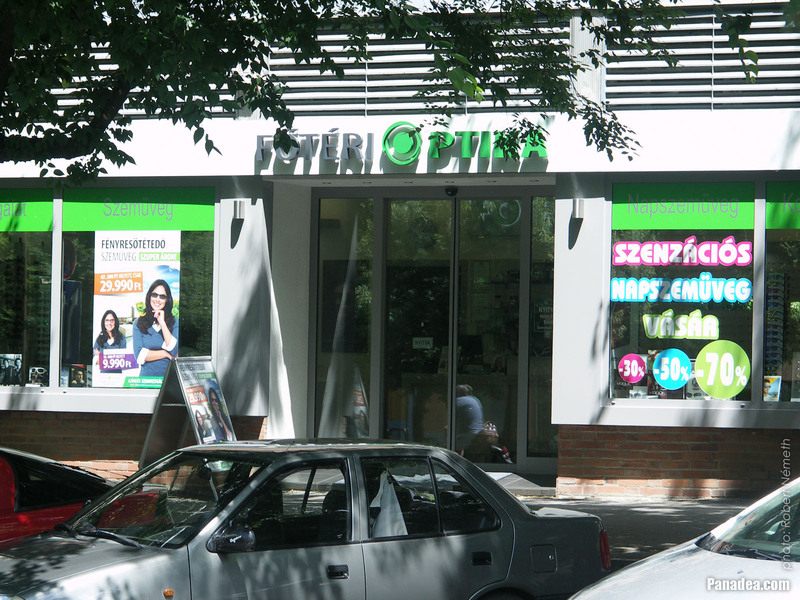 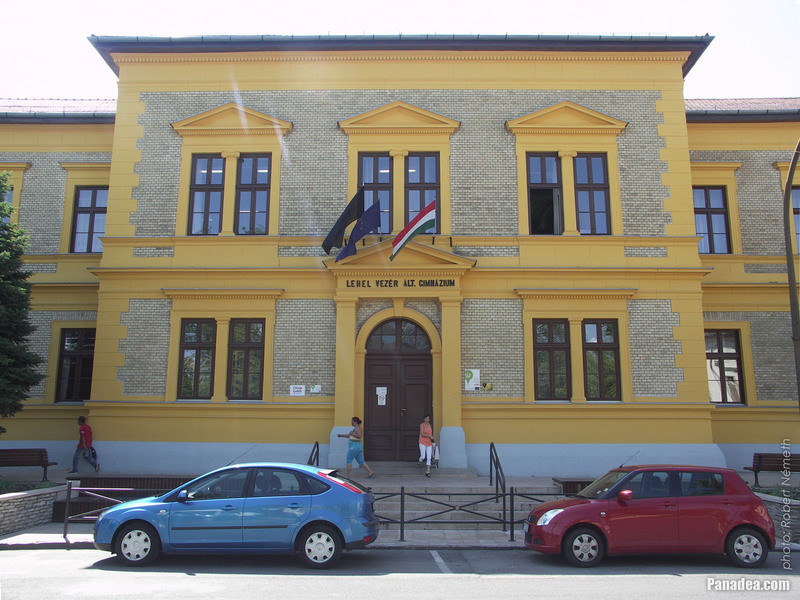 The two right-wing conservative artists are also quite close to the current Fidesz government. 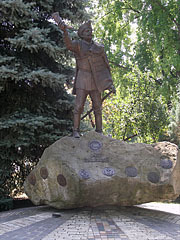 They sculpted the face of Chieftain Lehel that it reminds many people to the Fidesz Party-founder politician László Kövér, who is also the current speaker of the National Assembly of Hungary (but of course this also can be just a mere coincidence...). 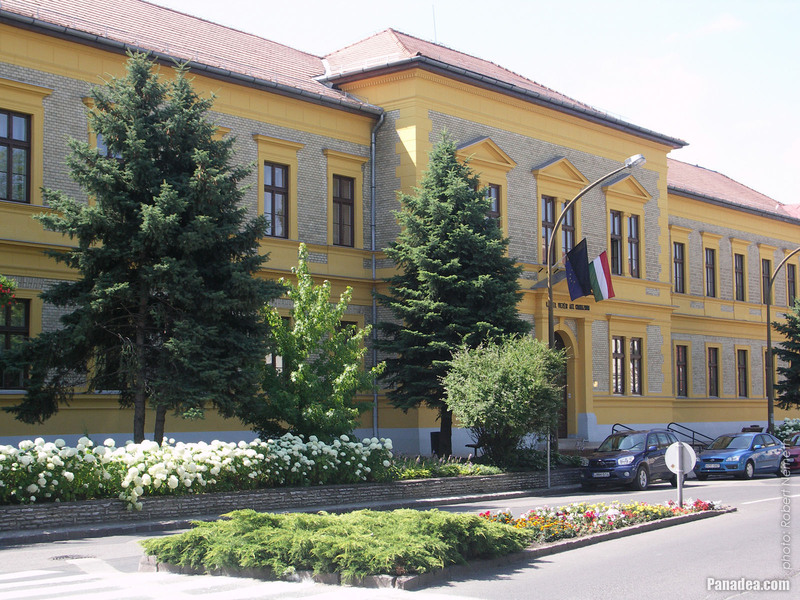 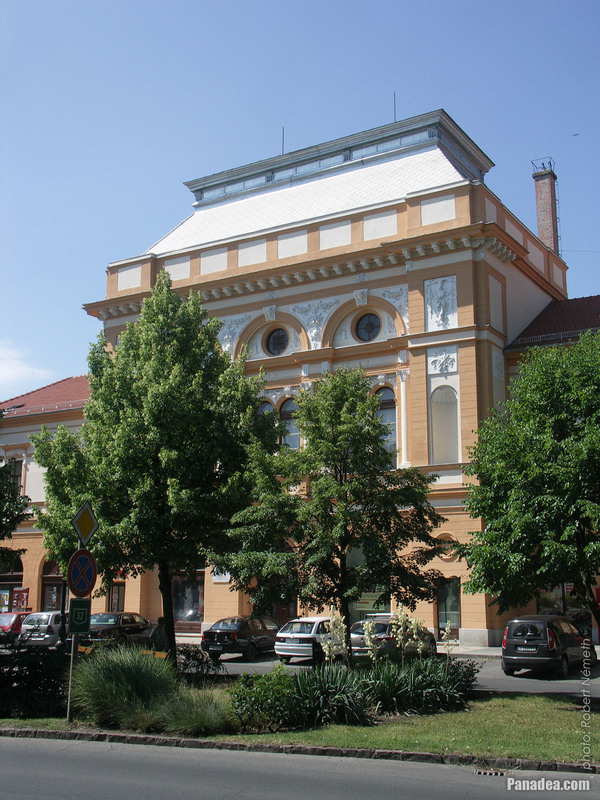 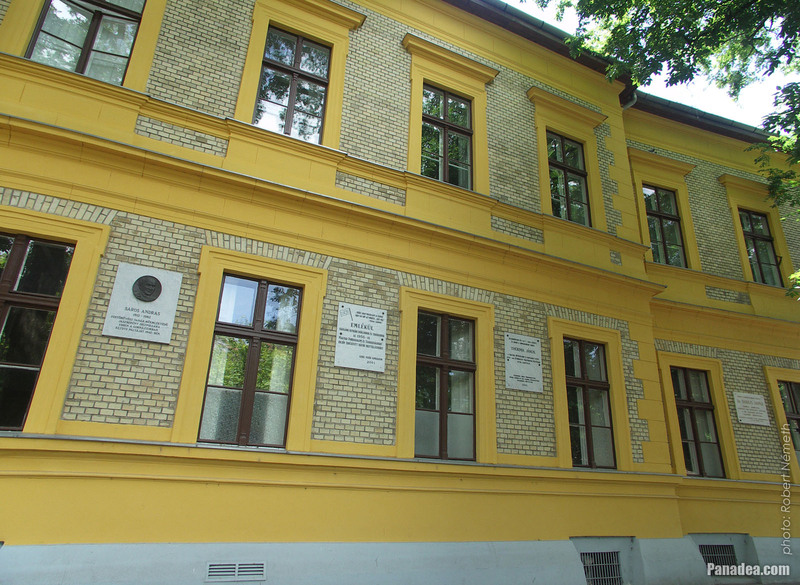 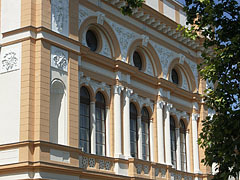 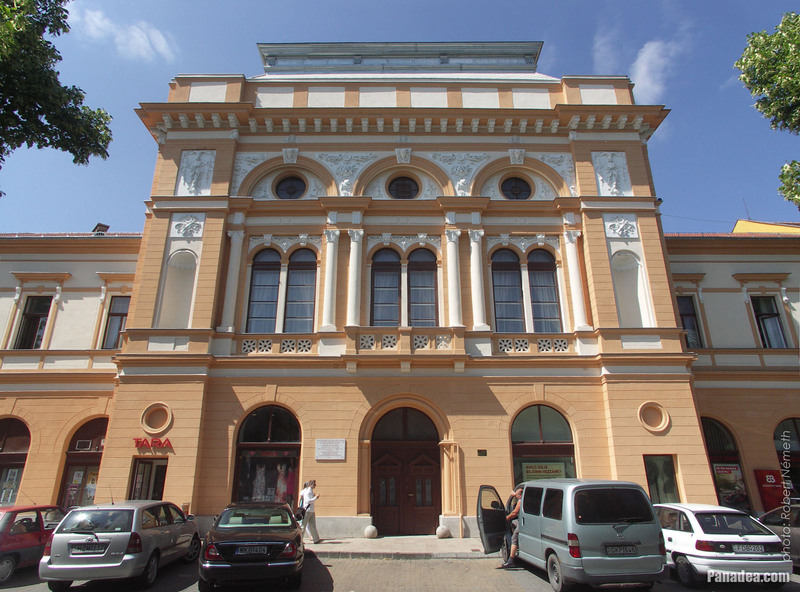 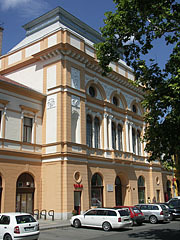 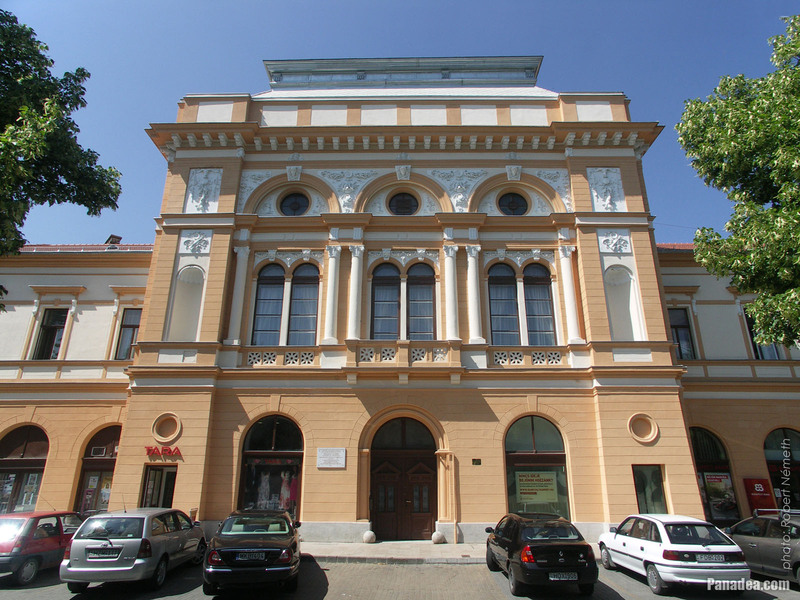 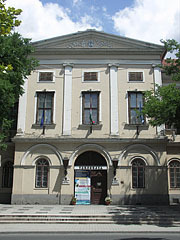 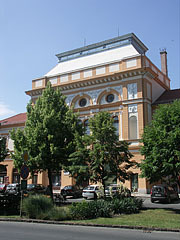 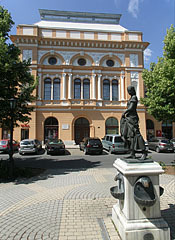 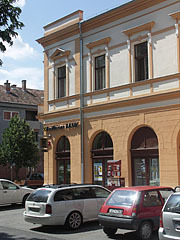 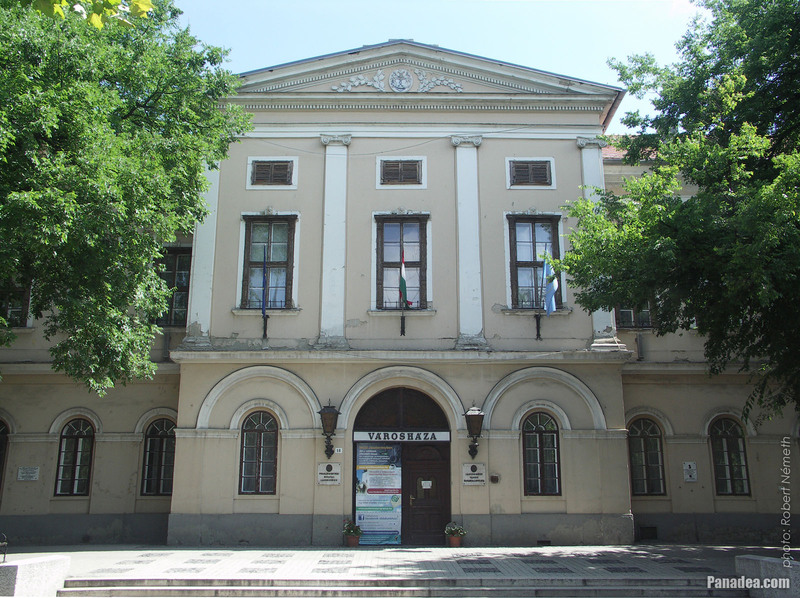 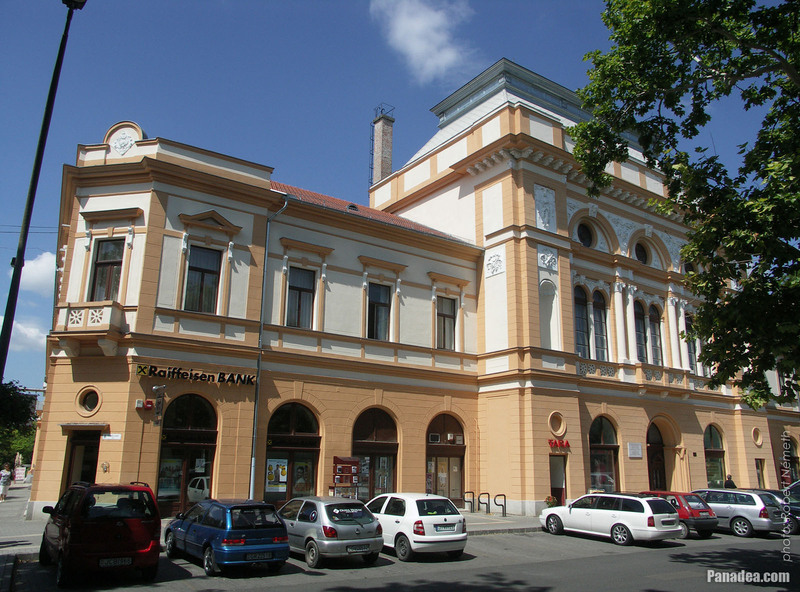 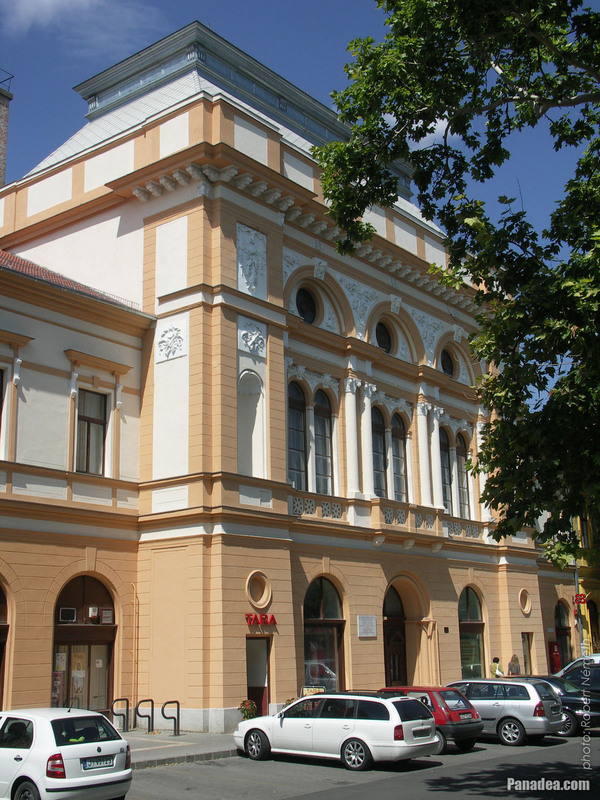 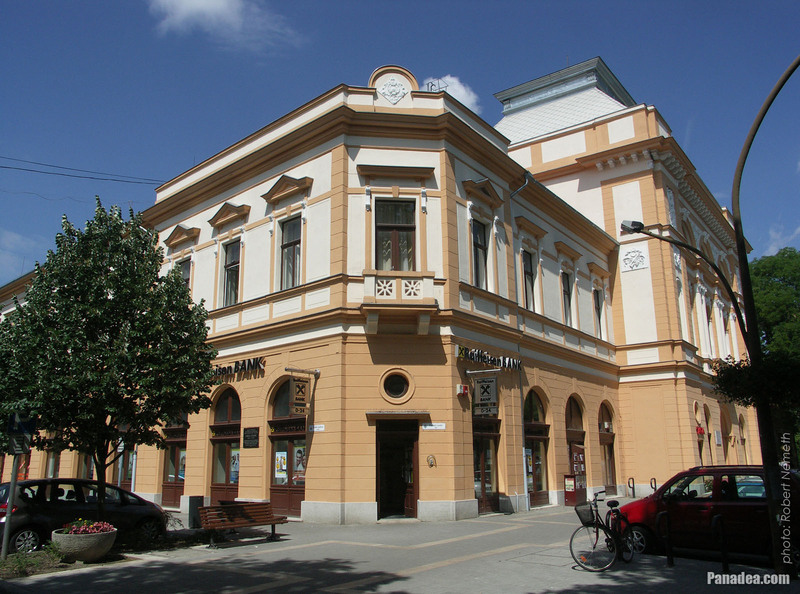 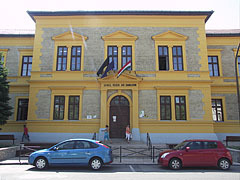 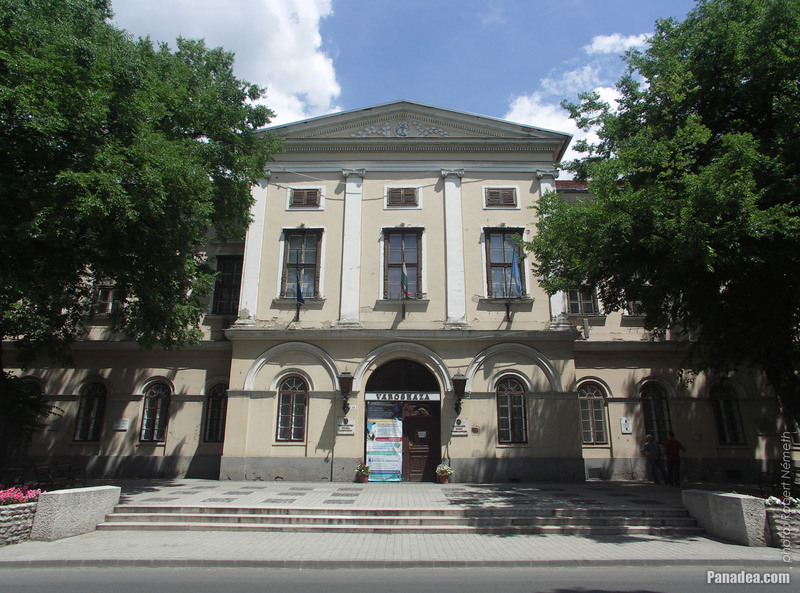 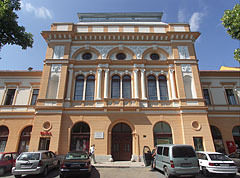 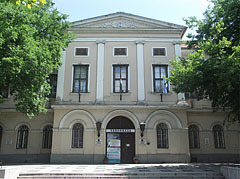 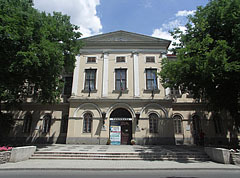 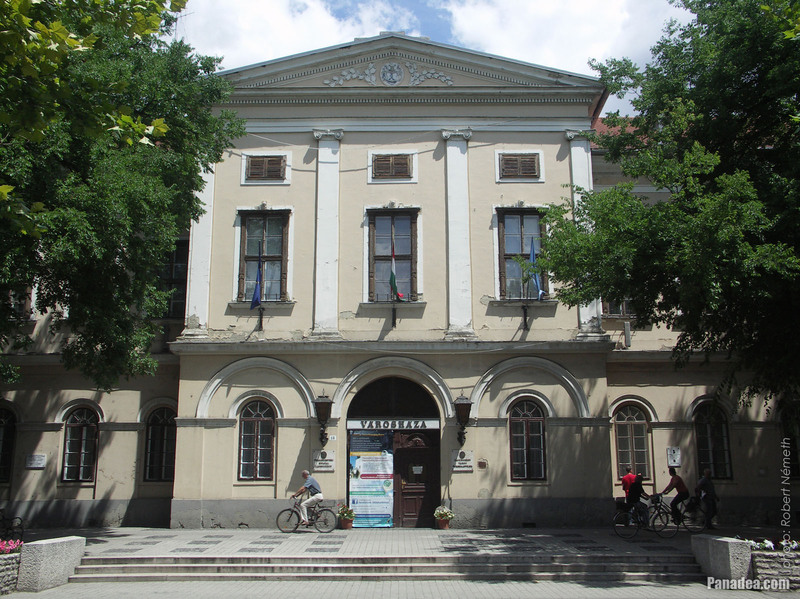 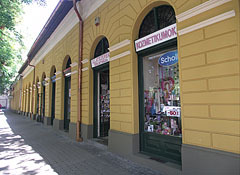 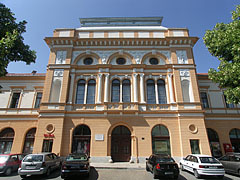 One of the older museums of Hungary is situated behind the City Hall at 5 Táncsics Mihály Street, this is the Jasz Museum. 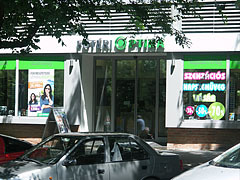 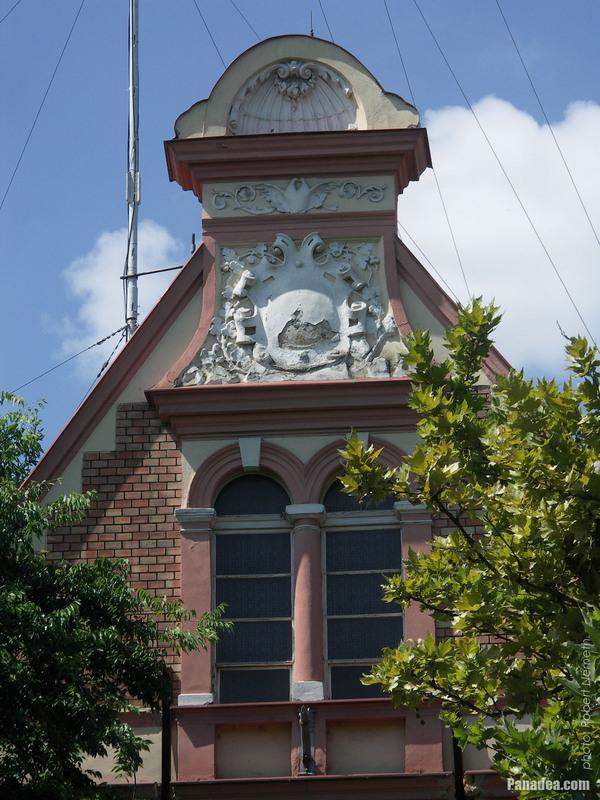 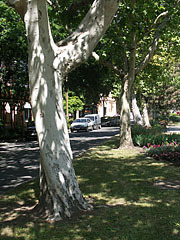 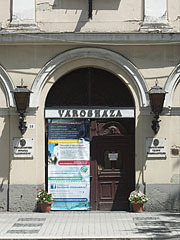 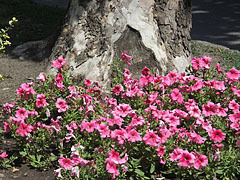 The institution was founded in 1874, it is located on its current site since 1931. 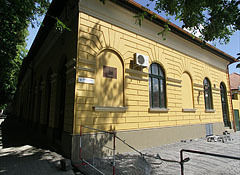 The building itself was built in 1842, initially as a barn or a stable. 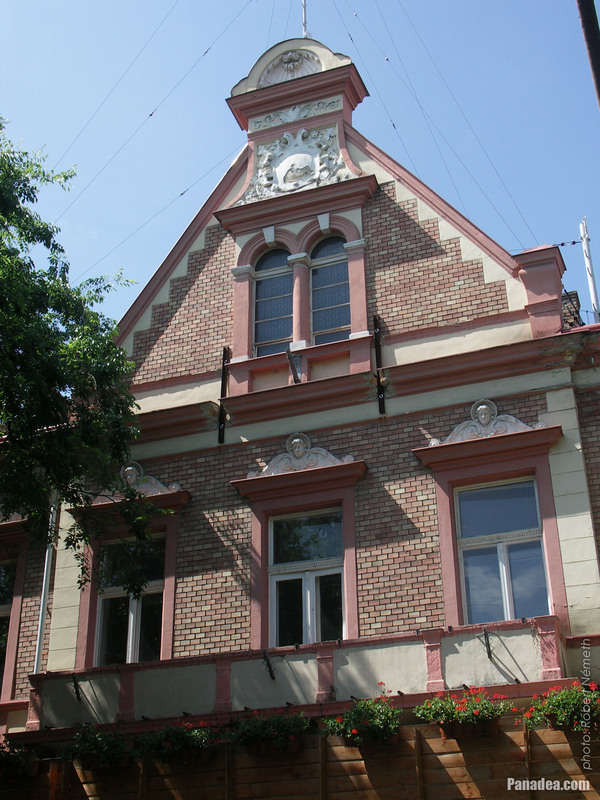 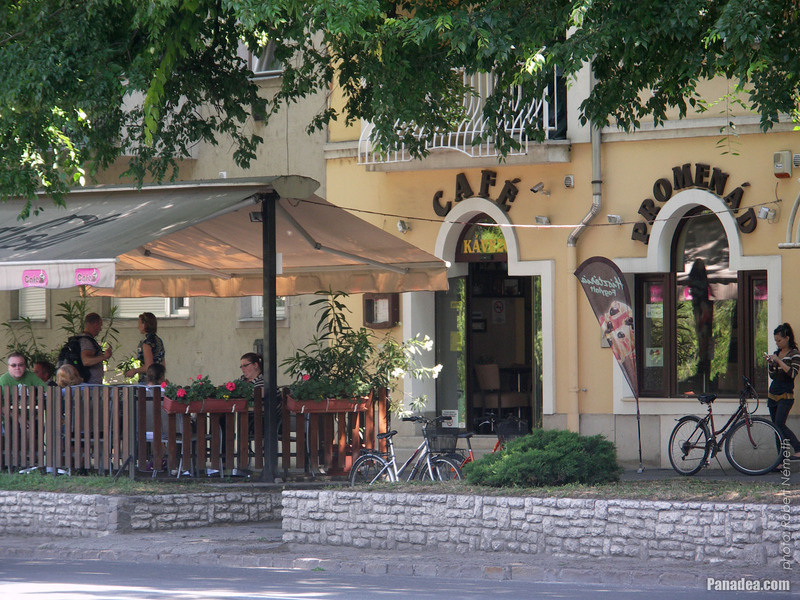 Among other things, today the famous Lehel's Horn is kept here within its walls.